Pack up your laptop and step outside your student accommodation for a study session at nearby coffee shop The Menagerie. Sit outside in the cactus garden, and treat yourself to a flat white and a slice of banana bread as you work. When you’ve caught up with your college work, head home via Mccaskie Park to relax on the grass. On Saturdays, don’t forget to check out the stalls at Kelvin Grove Village Markets, where you can pick up everything from local produce to potted plants and handmade craft creations. Later, eat tasty Vietnamese food at Sago Restaurant, and enjoy live music at The Tivoli. 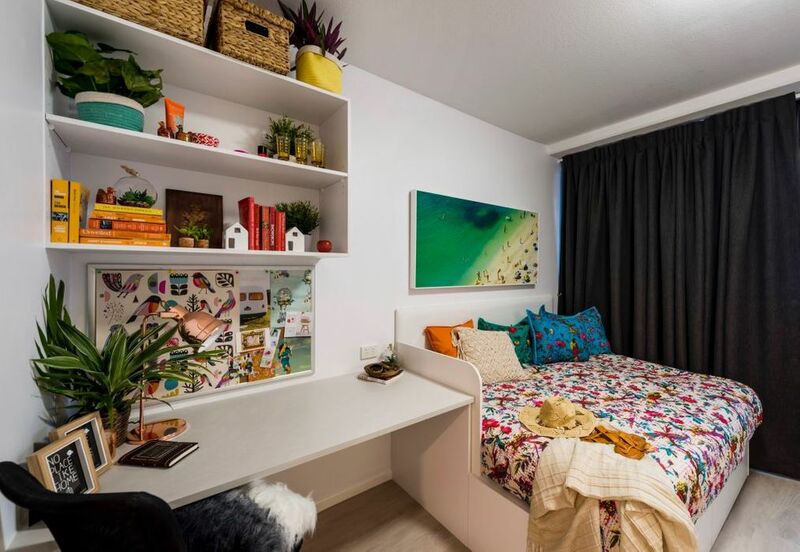 It’s a two-minute walk to Queensland University of Technology’s (QUT) Kelvin Grove Campus and 15 minutes to University of Queensland’s Heston campus. There’s a shuttle service to QUT’s Gardens Point campus, and other bus services stop nearby. 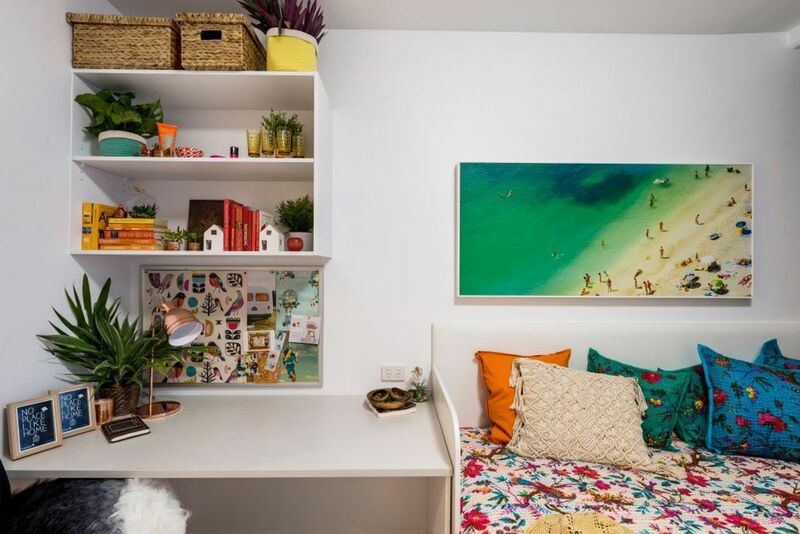 At your student housing in Brisbane you can choose a studio with your own private balcony or courtyard, which is perfect for relaxing under the Brisbane sun, or live in a split-level loft apartment. You’ll have a double bed, air conditioning, a large study desk, chair and lamp and a wall-mounted, 40” Smart TV. 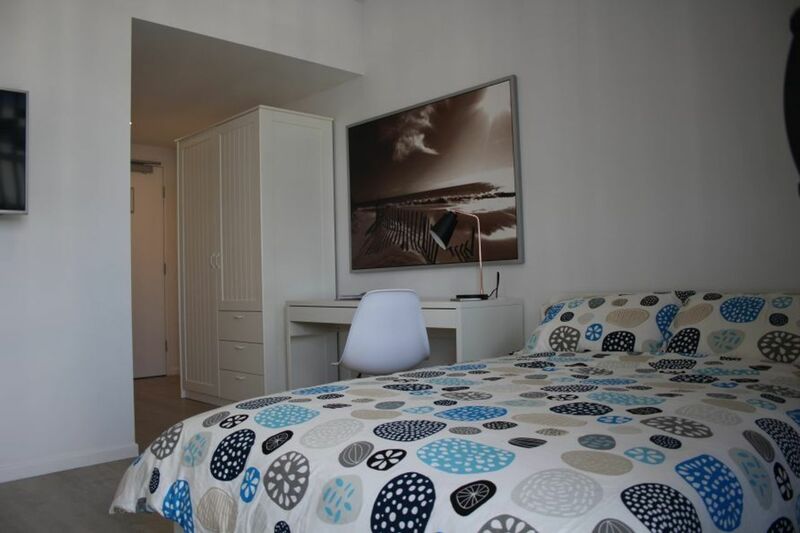 When you get back home, freshen up in your private ensuite bathroom, then head outside for a BBQ, or make dinner in your fully-equipped kitchenette with microwave and/or oven, cooktop, fridge, toaster and kettle. 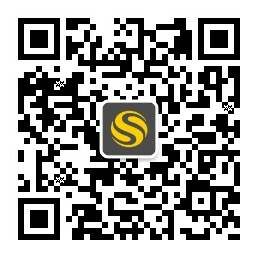 Water, electricity, 15GB internet per month and membership to the Community Spirit Program are included in your rent. Wir haben leider keine Unterkunft gefunden, die deinen Wünschen entspricht.Alle Ganze Wohnung in UniLodge School Street Studios ansehen.